On this page I'll be writing about strange tweaks I sometimes use to solve or "work around" a problem. Needless to say, of course, that applying any of these tweaks is entirely at your own risk. Make sure you have a tested full backup available before trying any of these unsupported tweaks. And always experiment on "non-production computers" first. I have often wondered why on Earth did Microsoft decide to deliver Windows XP Home Edition with many unsafe security settings as defaults, and without the tools to improve security? Well, that said, I didn't really bother until I found out that the laptop I wanted was available only with Windows XP Home Edition preinstalled. "[vendor name] recommends using Windows XP Professional" and then that same vendor delivers XP Home only. Sounds familiar? So for a while I used CACLS whenever I needed to change permissions for files or folders. 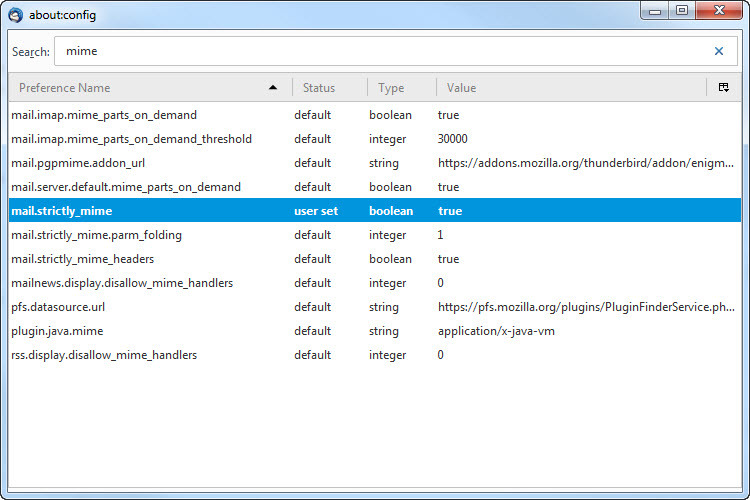 CACLS is a great tool for setting permissions unattendedly, but I wouldn't recommend for ad hoc use. The easiest way for ad hoc use is to boot the computer in Safe Mode whenever you need to set permissions. When booted in Safe Mode, the Security tab is always available. The disadvantage is, of course, that many services are disabled in Safe Mode. So you don't get the same functionality you have when booted normally until you reboot again. A better solution is a tip by Gilles Pion on Doug Knox's site: install Microsoft's Security Configuration Manager Tool for Windows NT 4 & 2000 Server on your Windows XP Home Edition. This work-around may (or may not) downgrade some system files. This may affect the NTFS file system. Though no problems have been reported so far, do make a full backup (or at the very least create a system restore point if your local data isn't that important) before trying unsupported workarounds like this! The most elaborate method I found was one by Reinhard Tchorz, explained by Axel Vahldiek in the July/August 2005 issue of c't Magazine. I think it is also the safest method, and it can always be undone quite easily. Did I mention you should make a backup before trying this? At TackTech.com a simpler alternative is provided. 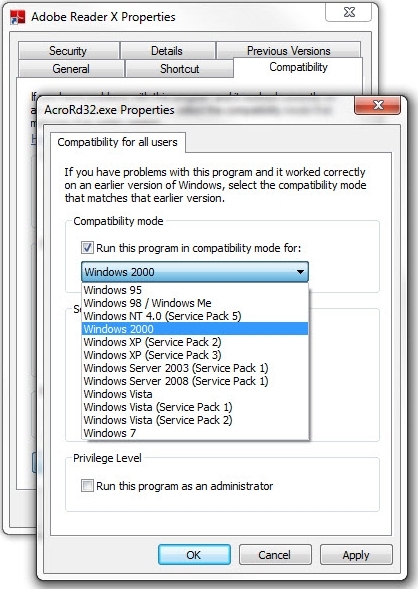 Willem Koster sent me this tip, accompanied by 2 .REG files that can be used to set and reset the required registry value. Simple, and no reboots required. Warning: Like all manipulations of the registry, there is always the risk of permanent damage to your configuration. Make a backup before trying this, at least a SystemState backup, but preferably a full image backup. When my wife's 120 GB harddisk crashed many years ago, I replaced it with a 250 GB model. Her Windows 2000 installation had problems recognizing the harddisk, so I settled for the 130 GB it did recognize and restored the image backups I had to the new disk. Some time later, a colleague sent me a link to KnowledgeBase article Q305098, which explains how to make Windows 2000 (SP2 and earlier) aware of harddisk capacity over 137 GB. So when I had to reinstall Windows 2000 again recently, I decided to give it a try. First of all I made sure the BIOS was up to date and could handle these large capacity disks. Then I added the registry value from the Knowledge Base article in the existing Windows 2000 installation, rebooted and checked the harddisk in Windows' Disk Management console. Sure enough, there was en extra 128 GB of unpartitioned disk space available. I removed the extended partition with the logical drives and recreated the extended partition, this time using all available disk space. I created an extra logical drive to contain several installation files and, for the near future, the image backups of the system partition. Did I mention you should make a backup before doing this? The Windows 2000 installation CD was at SP2 level, so it still couldn't handle the large capacity during setup. By keeping the primary system partition (C:) below the 137 GB boundary, this was no problem. After installing Windows 2000 I immediately added the registry value mentioned in the Q305098 KnowledgeBase article. After the reboot, Windows did recognize the extended partition and the first logical drive (that both started below the 137 GB boundary), but reported all disk space of logical drives beyond this 137 GB boundary as available empty space. For the time being I ignored this and installed SP4. I suspect it wouldn't have been wise to use any logical drive beyond the 137 GB boundary at that moment. After the reboot, the lost logical drives reappeared as if by magic, including their data. I own a Canon EOS 50D camera, and take lots of pictures with the quality (resolution) set to maximum. Copying the contents of my 32GB CompactFlash cards to my hardddisk may take a while, if I had a lucky day. That is why I bought myself a Addonics SATA CF adapter plus Silicon Image hot-swappable SATA controller, which made copying much faster, since this CF card reader uses a SATA interface instead of USB 2.0. That was back in the XP era. After moving the hardware to my new Windows 7 computer, I discovered that the CF card reader was no longer hot-swappable. It had to be run each time a card was inserted or ejected. Well, at least it worked. A couple of weeks later I read this article SATA: Hot Plugging Drives Under Windows 2000/XP, and found HotSwap!, which adds a nice GUI/tray icon. Update: After a while, the solution described here failed to work in Windows 7. I bought myself an USB 3.0 card reader, which after a while got some problems too. Later I found out a defective mouse was causing the problem, but by then I already tried tweak 7. Since I installed HP LaserJet P2050 drivers and monitor software, I regularly get annoying popups with ads for HP care pack. These popups appear randomly at startup. Trying to change the (privacy) settings redirected me to a website, where I had to agree to terms that would be shown after entering the site, for which I had to agree to the terms I could not see. I have seen better marketing! The source of the popup ads is HP ToolBoxFX, which monitors the printer status. As I did not want to completely remove all HP ToolBoxFX functionality, I started digging in the Run section of the registry, where HP ToolBoxFX is started. Based on some experiments and on the feedback the program gave, I think the part marked red is the part that needs to be changed (i.e. removed). "HP Software Update"="\"C:\\Program Files (x86)\\HP\\HP Software Update\\HPWuSchd2.exe\""
"HPPQVideo"="\"C:\\Program Files (x86)\\HP\\ScheduledLaunch\\HP LaserJet P2050 Series\\bin\\hppschlnch.exe\" -r SOFTWARE\\Hewlett-Packard\\ScheduledLaunch\\LJ_P2050_Series -f PQOptimizerVideo.xml -o RemindLater"
"ToolBoxFX"="\"C:\\Program Files (x86)\\HP\\ToolBoxFX\\bin\\HPTLBXFX.exe\" /enum:on /alerts:on /notifications:on /fl:on /fr:on /appData:on /tmcp:on"
"HP Software Update"="\"C:\\Program Files\\HP\\HP Software Update\\HPWuSchd2.exe\""
"HPPQVideo"="\"C:\\Program Files\\HP\\ScheduledLaunch\\HP LaserJet P2050 Series\\bin\\hppschlnch.exe\" -r SOFTWARE\\Hewlett-Packard\\ScheduledLaunch\\LJ_P2050_Series -f PQOptimizerVideo.xml -o RemindLater"
"ToolBoxFX"="\"C:\\Program Files\\HP\\ToolBoxFX\\bin\\HPTLBXFX.exe\" /enum:on /alerts:on /notifications:on /fl:on /fr:on /appData:on /tmcp:on"
While at it, I also removed the annoying HPPQVideo reminder. "ToolBoxFX"="\"C:\\Program Files\\HP\\ToolBoxFX\\bin\\HPTLBXFX.exe\" /enum:on /alerts:on /notifications:on /fl:on /fr:on /appData:on"
Note: Before editing registry settings, save them by exporting them to a .REG file first. This will allow you to easily restore the original registry settings, if necessary. And always make sure you have a verified backup available. For several reasons, instead of buying a new one, I recently upgraded my 6 year old laptop from Windows XP to Windows 7. 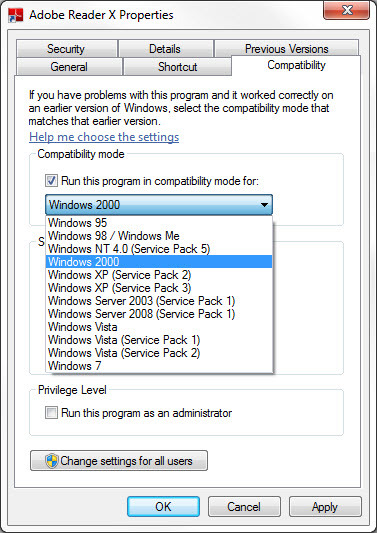 Of course, I used the Windows 7 Upgrade Advisor first, to make sure the upgrade would be possible at all. It told me I should download a new version of the network driver, the rest would be no problem. You may have guessed by now: of course there was an unexpected challenge. Somehow, for some obscure reason, OEM manufacturers (i.e. most laptop builders) do not allow ATI's Catalyst driver to be installed on their computers. So, even with the ATI driver known and "trusted" by the Windows 7 Upgrade Advisor, it could not be installed, leaving me with a 1280x800 screen displaying at 800x600. Enter ATI Mobility Modder by Ruud Ketelaars. This tool allows you to download an "ordinary" non-OEM version of an ATI driver, and then modifies it so it can be installed on your laptop. Like most tools: read and follow the accompanying instructions, do not start blindly! My laptop display now happily works at 1280x800. Recently I had to replace my video card due to a broken fan. I swapped it with a fanless video card of a different brand, which I scavenged from my old PC. Updating/reinstalling drivers did not help, nor did removing all old drivers. My own ChkPath.vbs to the rescue. By running this script, I found out that uninstalling the old driver had removed the files and folders, but not the old PATH entries that now pointed to non-existing folders. After allowing the script to correct this, the computer worked like a charm again. For a while I have been the owner of a All-In-One USB 2.0/eSATA dual 2.5/3.5 inch harddisk docking station (see image at the right). Anyway, by adding an under 6 dollar Compact Flash to SATA converter (see image at the right) I can now use the docking station as a fast eSATA CF card reader. Since an upgrade to Windows 8 only cost € 30,00 I thought I might as well take the plunge and upgrade my Asus EEE-PC 1008HA, my last surviving XP machine. The Windows 8 Upgrade Assistent did a great job, and the upgrade was painless (though slow). The Upgrade Assistent warned me that the EEE-PC's 1024x600 screen resolution was too low to run Metro Apps. I figured I would find a Windows 8 compatible virtual 1024x768 screen driver, like the one it had in XP. If not, no big deal, I would just have to use a different RAW photo editor. And I did find it! Just download and install Internal_VGA_Intel_32bit_8.15.10.1912.zip, reboot, and change the screen resolution from its new 1152x864 back to 1024x768. This was for my Asus EEE-PC 1008HA; for the Asus EEE-PC 1001PX "SeaShell" look at the Update section below. Of course, you don't get more pixels on the screen, so everything may look a bit squashed, but at least your apps will run. I also wrote a batch file (SwitchRes.bat) that toggles between 1024x768 and 1024x600. Pin it to the Start screen and the Taskbar to switch easily. Notes: 1 Before installing the Intel driver, make sure it supports your Netbook's graphics card. 2 I used this tweak successfully on an Asus EEE-PC 1008HA. Unfortunately, it did not work on an Asus EEE-PC 1001PX "SeaShell". Update: After applying the registry tweak for Windows 8.1 (Tweak 9, below) on my Asus EEE-PC 1008HA Netbook, I wondered if that could also solve the problem on a friend's Netbook, an Asus EEE-PC 1001PX "SeaShell". At first it looked like it made no difference, until I downloaded and installed the older Intel Graphics Media Accelerator 3150, Version 15.12.75.50.7.2230/8.14.10.2230 for Windows 7* 32-bit driver (that's right, for Windows 7!). I ignored the warning that this version is older than the one already installed, and it worked like a charm! Upgrading from Windows 8 to 8.1 was not as painless as upgrading from XP to 8. First, it required me to uninstall VIPRE Anti-Virus before continuing. Next I found out the hard way, when forced to create a Microsoft account to log in for the first time after the upgrade, that aborting meant a completely automated roll-back of the upgrade, no questions asked. What I should have done, and did the second time, was open the "Create a new account" dialog, and then immediately scroll all the way to the bottom of the screen and click "I want to keep my current account". Then I found out I could no longer set the screen resolution to 1024x768 (Tweak 8), which is required to run Metro style apps, or in my case Canon's RAW photo editing sofware. Brad Linder to the rescue. It turned out there are several places in the registry where a binary value named Display1_DownScalingSupported should be set to 1. Brad's computer had 2 entries, mine had 6 of them, probably because I tried to install a driver from the old Windows 8 installation twice. 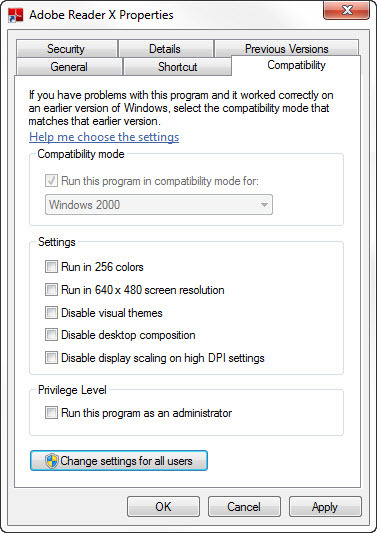 Only one of these values not set to 1 prevented changing the screen resolution. End of search: 6 match(es) found. After modifying this value and rebooting the netbook, I could set the screen resolution to 1024x768 again. When Windows 8 "Spring 2014" update (KB2919355) failed with error 80070002 on my EEE-PC netbook, the Windows Update help mentioned an interrupted internet connection as the most likely cause. So I downloaded the entire package and started a local installation, just to have it fail with the exact same error code. I spent hours trying to solve the problem but finally gave up, hoping a solution would become available in the near future. A couple of months later (the netbook isn't used very often) I decided to give it another try: same error code, despite the addition of "clearcompressionflag.exe" to the update package. Fortunately, this time my Google search did return a useful link: Andrey Tarasevich found the cause. It turns out that moving the Start Menu subfolders "Administrative Tools" and "System Tools" (which I did a long time ago) causes the update to fail with the uninformative error message. was all that was needed to fix the problem, after that the update installed flawlessly. After the update is installed, the folders may be removed again. There may be other issues in other cases, check your %windir%\Logs\CBS\CBS.log (this may take a while). to find out if more Start Menu subfolders were missing (there weren't). Sometimes, however, I get a "path too long" error message, in which case neither RD nor Explorer will be able to delete the directory tree. It may help to run these commands with elevated privileges. Thanks wbkang, you saved my day! Recently my computer would be unusable for at least 20 minutes after logging in: the screen would freeze and/or go blank, and often a message would pop up stating the display driver had crashed and recovered. I tried several optimizations, but the problem persisted. Then I started running Task Manager's Processes list full time and full screen on my second monitor to try and find out which processes were involved when the screen froze. This left me with only 2 suspects: the real-time virus scanner and CompatTelRunner.exe. Now that is a challenge, since Microsoft retired its Exctrlst tool, and it is not included in the Windows distribution. I did not find a working download link for Exctrlst from Microsoft's website. I did manage to salvage an old version from a Windows XP CDROM, but running it did not solve the problem. I could not find any offending or missing registry keys or values. Updating PsList to version 1.4 didn't help either. I found several web pages dedicated to this problem, most of them stating that Exctrlst should solve the problem. At some point in time, Firefox decided to refuse printing. The program would freeze and could be closed only by killing the process. Next day, the problem returned. I opened about:config again, typed print_paper in the search field, and noticed all returned values were marked user set. So I right-clicked and Reset every returned value. After updating Mozilla Thunderbird to version 45.0 I could no longer send message to recipients on Zoho.com. Reverting Thunderbird to version 38.7.2 would "fix" the problem, but I don't like to "fossilize" my software, making it vulnerable to (future) exploits. I Googled for days without finding a working solution, so I started experimenting with the Advanced settings. From what I read on several sites, forums and blogs I gathered that the problem would be in the MIME encoding, so I opened Thunderbird's Config Editor (Tools > Options > Advanced (tab) > Config Editor) and searched for "mime". mail.strictly_mime looked like a good starting point, so I set it to true. Unfortunately, it was not enough to solve the issue, so I started combining it with several other experiments of the past few days. 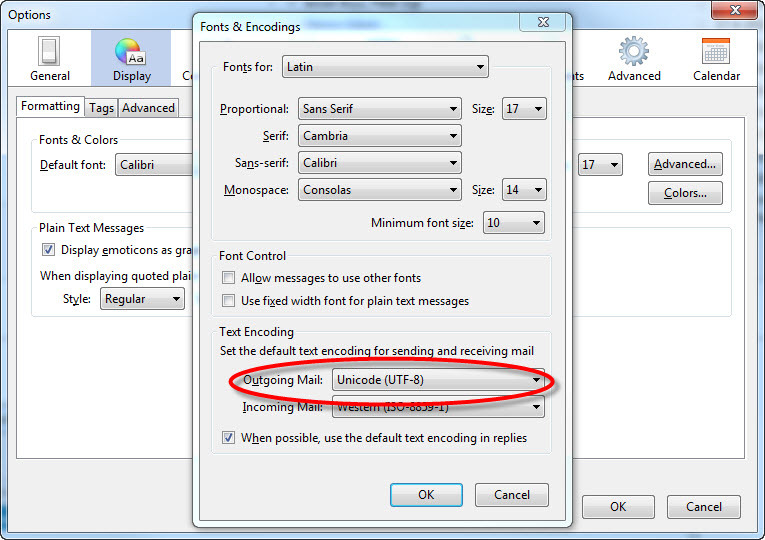 After setting the outgoing mail encoding (Tools > Options > Display > Advanced... (button next to Default Font) > Outgoing Mail) to UTF-8 the issue was solved. Note: If you are in a hurry, and know what you are doing, you can open the Config Editor immediately and just set mail.strictly_mime to true and mailnews.send_default_charset to UTF-8. Well, I am glad I can send messages to recipients on Zoho.com again. I was aware of the fact that downloaded HTML help files (*.chm) need to be unblocked before they can be viewed (right-click on the file, choose "Properties" en click "Unblock"). However, I never would have guessed that either a "#" or ".col" anywhere in the file's path would cause trouble! See this MSDN Blog post by Neeraj Agrawal for details. Warning: Do not open HTML Help Files that were sent as e-mail attachment. Malicious software could be installed without your security software noticing it. Read this article by Emsisoft for more details: Ransomware Cryptowall makes a comeback via malicious help files. For several weeks now the Provider for Google Calendar has been working "intermittently" with Thunderbird mail, which almost made me miss some appointments (I'm glad the Google Calendar on my smartphone did warn me in time). Occasionally an error would pop up when starting Thunderbird mail, telling me my quota on Gmail had been exceeded (checked it: 0 out of 15 GB used), and please try again later. Removing and adding the calendar did not solve the problem. Removing and reinstalling the (latest) Provider for Google Calendar didn't solve it either. This week was not a very productive one, I'm afraid. First Windows 7's CONHOST stopped working in 32-bit mode, so I had to restore the system partition from a recent image backup. The next day I replaced a harddisk, and then Windows refused to boot, even after swapping the original drive back into the computer. BOOTREC to the rescue in Windows' Save Mode. And today I discovered that WordPerfect refused to work, possibly due to the restore. The problem with WordPerfect was that it started with an error message "No asset found for trial download (license ID: ...) with 30 day(s) left, source type 1, lang en and source ID ...". After closing the error message window WordPerfect would start, but I wasn't too sure it still would next month. Under "Help", "About", my name and license number would be displayed correctly. Since WordPerfect is no longer the most used word processor, support is scarce, contrary to support for MS Office. Support had expired 90 days after the sale, and WordPerfect has been running for years without problems. Some forum posts suggested a thorough and complete uninstall of Corel Office, and then reinstall it. I tried that 3 times without success, and decided I had had enough, especially so because the uninstall would consistently ruin my Windows profile, which is located on a different drive. I started WordPerfect with PROCMON running, and in the huge amount of data generated by PROCMON I found hints that it was trying to check WordPerfect's activation online - not a big surprise, come to think of it. So I unplugged the network cable, started WordPerfect, which then opened with a new dialog offering me a choice between activation via internet, phone or (snail) mail. I plugged the cable back in, waited for the connection to be restored, and chose the internet activation. Five seconds later the problem was solved. Another annoying bug in Adobe Reader X: on many Windows 7 systems it crashes/freezes when you try to print. Apart from disabling Adobe Reader's Protected Mode (a workaround not recommended by Adobe), Adobe did not find a solution yet. Using the properties, you can set it for the currently logged in user.